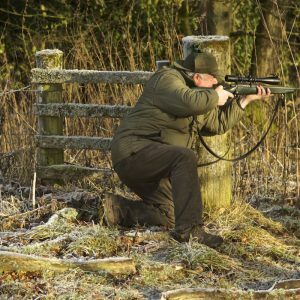 Courses for safe rifle handling and DSC (deer stalking certificate) levels 1 and 2 with BASC Assessor and Accredited trainer - Jon Snowdon - novices are welcome. 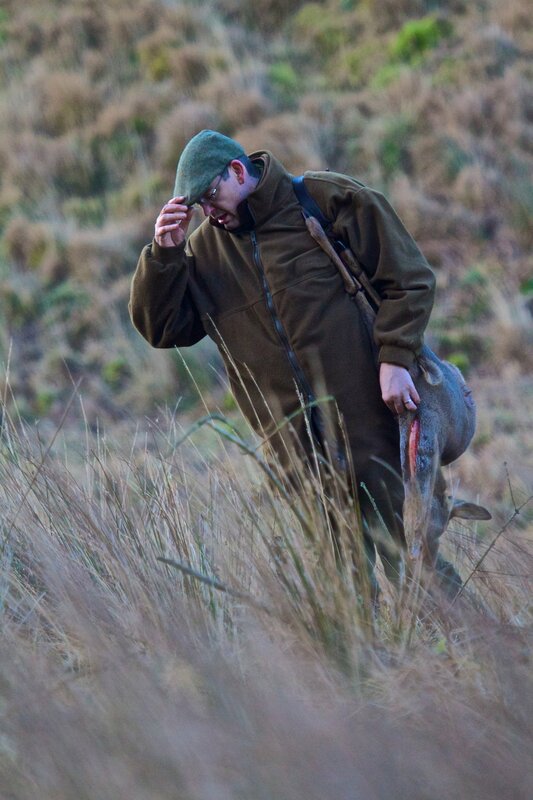 Enjoy deer management courses in spectacular countryside near Hadrian’s Wall in Northumberland National Park, North East England – inc. courses for safe rifle handling and DSC (deer stalking certificate) levels 1 and 2 with BASC Assessor and Accredited trainer, Jon Snowdon. The following two courses can be organised at a mutually suitable time to suit either the individual or group. 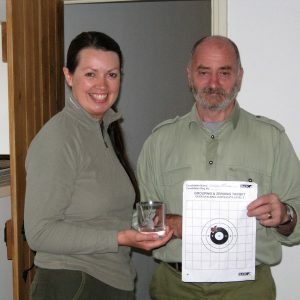 1 day Pre DSC rifle handling course. 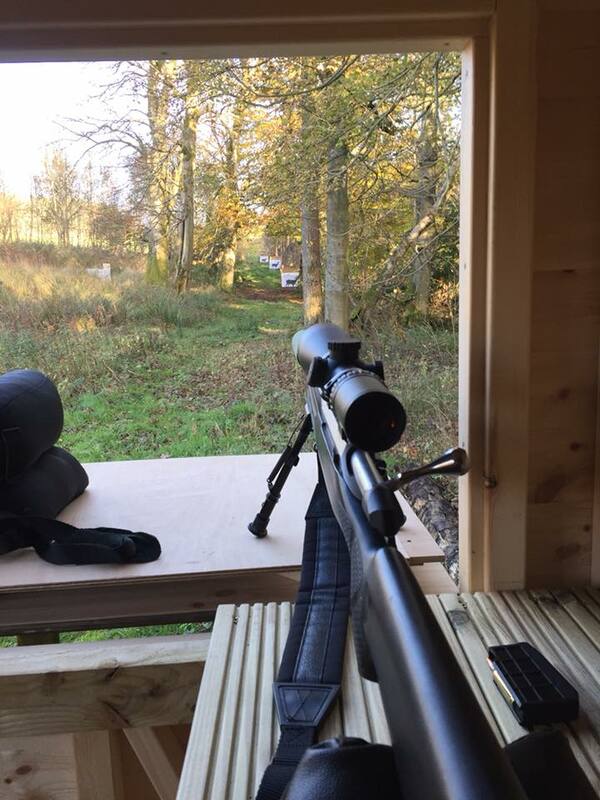 This is a course for the novice who may intend to move on to the DSC1 award or who is looking for training in the disciplines necessary to enable accurate shooting and safe rifle handling. 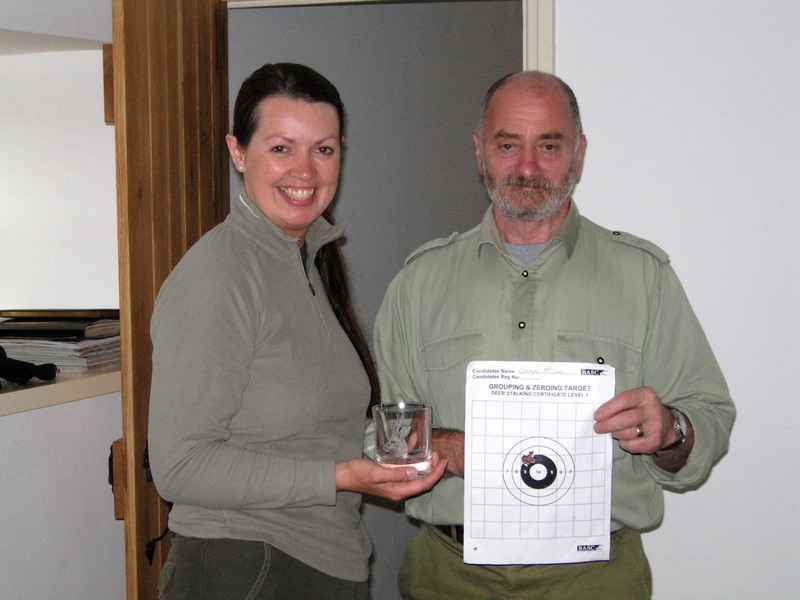 The course consists of safe rifle handling in the field and on the range – accurate shooting technique – practical shooting on the range – shot placement. It is not necessary to own a rifle or be in possession of a Fire Arm Certificate the estate rifle facility can be made available. Cost: £125.00 per person for either group courses or 1X1 individual courses. Greenlee Introduction to Deer Management course. This is a very popular highly regarded introduction for the novice. 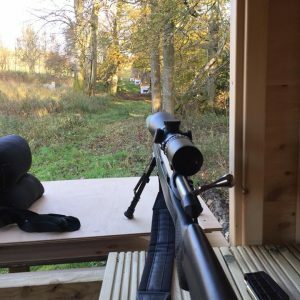 It starts with an afternoon session that covers: Ballistics – Shot placement – Identification of species – Rifle safety in the field – Practical shooting on the range. Followed by a practical stalking outing the next morning. Greenlee Sustainable Deer Management DSC1 Course. Greenlee DSC1 courses are held regularly throughout the year. Each course lasts two and a half days with the assessment day being usually held on the last day. 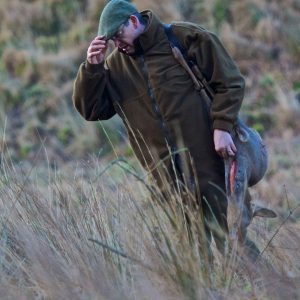 The trainer for all courses is Jon Snowdon who is a professional deer manager, a BASC approved trainer and assessor for this DMQ qualification. As in all of the Greenlee courses small groups give Greenlee their unique friendly atmosphere as well as enabling us to run a properly focussed course resulting in high success rates. If you have a group of friends who want to take this qualification we can arrange a course with dates to suit your group, either at weekends or during the week. Cost: £295.00 per person which includes the training pack, refreshments and a light lunch during the course. Greenlee 1×1 DSC1 courses with Jon can be easily arranged. Written assessment – 50 multiple choice questions on all aspects of deer. 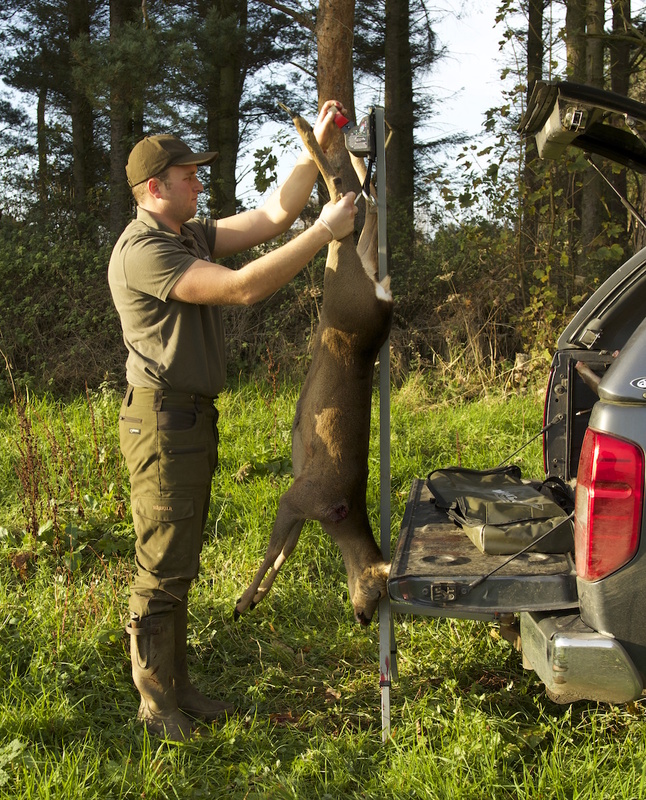 Game hygiene assessment – 40 multiple choice questions on large game handling. 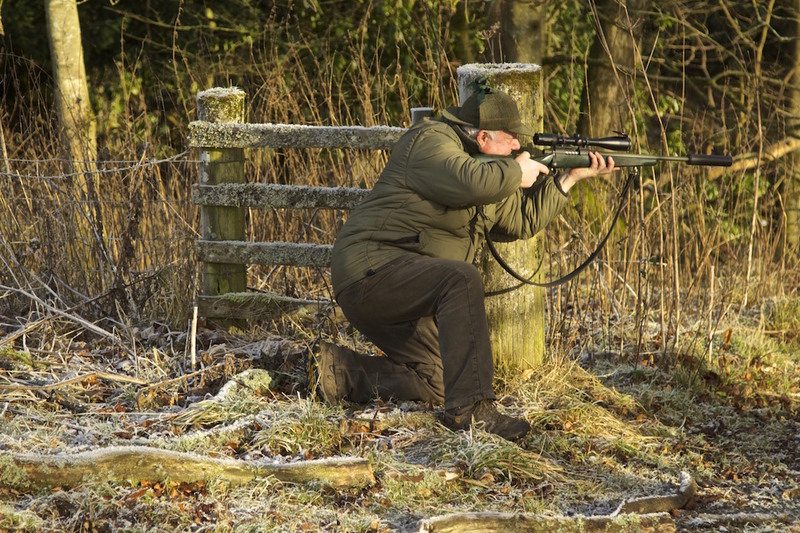 This enables the successful candidate to achieve the Trained Hunter qualification. Visual assessment – 20 colour pictures identifying the 6 deer species in the UK. 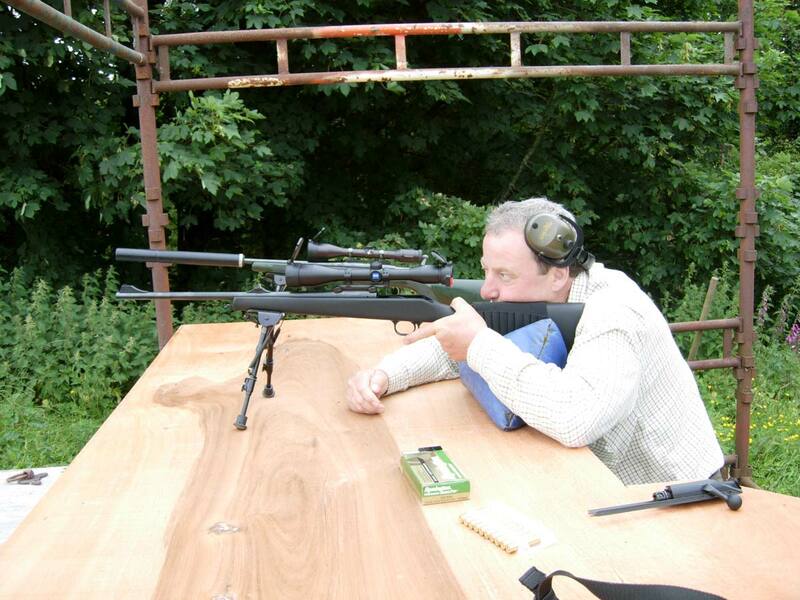 Safety assessment – A simulated stalk with a rifle. 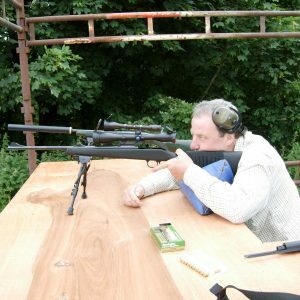 Shooting assessment – 3 rounds into a 4 inch circle at 100 metres – 2 rounds into a deer target at 100 metres – 2 rounds into a deer target at 70 metres sitting or kneeling – 2 rounds into a deer target at 40 metres standing. Whilst all the relevant information will be covered during the course, to gain the maximum benefit from the course candidates are expected to have read the training manual (supplied) before attending the course. April 12-14th – This is a ladies only course. Please Contact Us for details & booking. BASC are also running the dates below with Greenlee where Jon is the trainer and assessor. Please Contact BASC for details & booking. The most stable shooting position. The most stable position possible in the field is not always easy. 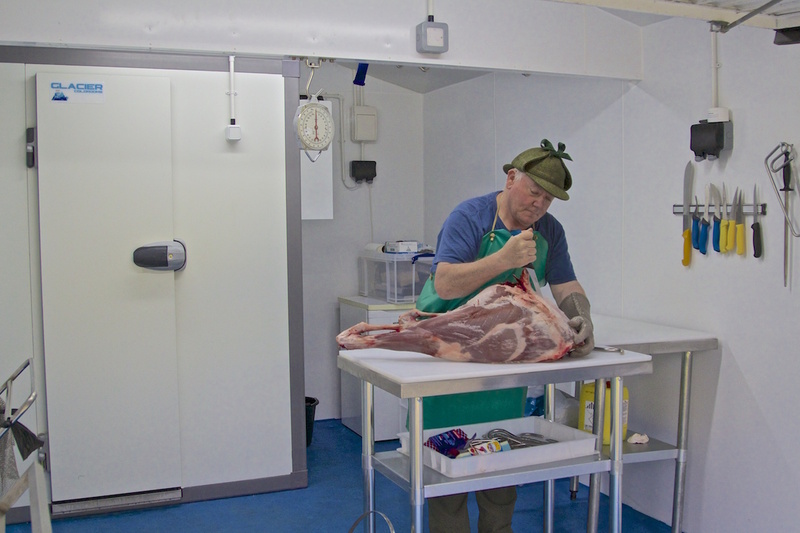 Jon demonstrating butchery on a course held in the new larder. 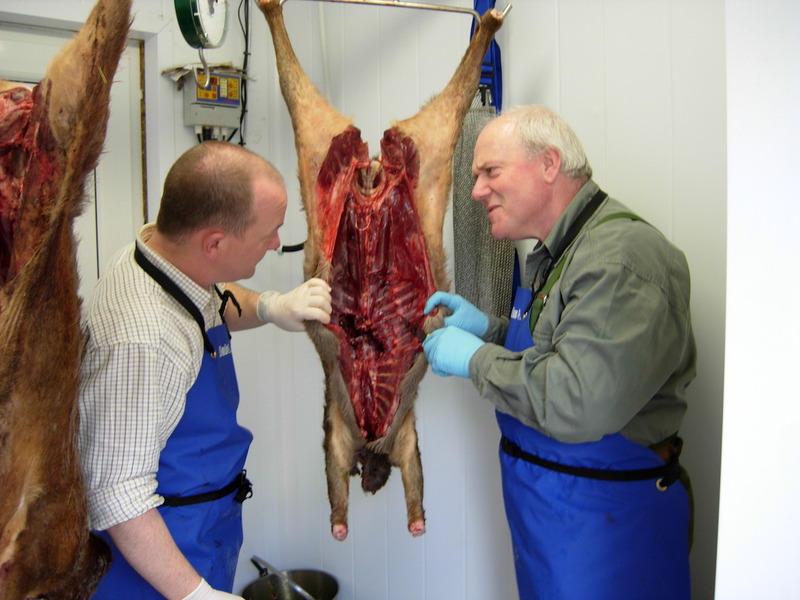 Carcass handling and butchery courses. 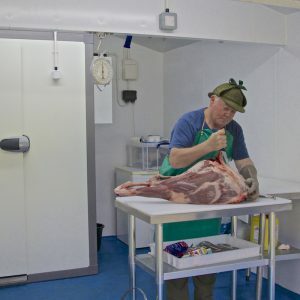 This is a very popular and highly regarded one day course giving the candidates the practical experience of handling a deer carcass to the required standard to enter the food chain. This course is ideal for future “Trained Hunter” or DSC2 candidates who have not had the opportunity of handling many carcasses and comply with the Game Meat Hygiene regulations. The experience of this course can help toward the building up of the criteria evidence for the DSC2 portfolio. The carcass handling is followed by butchery of the carcasses. Due to the limited places available these course always get booked up well in advance, even before publication of dates. Jon is an Approved Witness and assessor for the DSC2 qualification. Single Approved Witness outings can be arranged. There is a limited number of opportunities made available for candidates to be accompanied by Jon for five consecutive days Approved Witness outings where the experienced and prepared candidate is likely to complete the DSC2 three ICR’s which Jon can both Witness and complete full assessment of the portfolio.